The daylight hours here in Acadia may be getting shorter and colder, but we know that means opportunities for winter recreation are just a few frigid nights or snowflakes away. Soon the lakes and ponds may be frozen enough for families and friends to skate, play hockey, go ice fishing. Soon the carriage roads may have enough snow for AWTA volunteers to groom for cross-country skiing. And winter is always a great time for a walk or hike to enjoy the magical distant views that summer leaves hide from sight. Though the days may be short, we think it makes the glow of sunlight on freshly powdered boughs or striking patches of ice on Acadia’s mountaintops all the more beautiful. We at Friends of Acadia send you warm wishes for a joyful holiday, and hope you will have many opportunities to experience the beauty of Acadia this winter and in the coming year. Year-End Giving: As you think about year-end giving, please consider donating to the Friends of Acadia Annual Fund. Visitors to Acadia National Park numbered more than 3.2 million this year—and Friends of Acadia’s role is more essential than ever. We must address the challenges of rapidly growing visitation, protect Acadia’s natural resources, preserve the historic carriage roads and trails, and ensure future stewardship of Acadia by engaging young people in the park. Your gift to the Annual Fund will support our work in all of these areas and more. Please consider giving as generously as you can, knowing that you are making a real and lasting impact on Acadia’s future. Visit our website, Facebook, Twitter, or Instagram for the latest grooming status updates. Skiing in Acadia is a volunteer and community effort, and you can be a part of it by sharing what you observe about the latest snow conditions in the park. Use the hashtag #SkiAcadia to share your photos and videos on social media and help everyone to enjoy the outdoors this winter! Read the Journal Online: The newest Friends of Acadia Journal is available online! With articles about FOA’s 30th anniversary, recording Acadia’s soundscapes, and parallels between Maine conservationists George Dorr and Percival Baxter—plus updates on the Acadia Centennial, the Second Century Campaign, and much more. The cover features Acadia’s iconic Cobblestone Beach and Otter Point in a fresh coat of snow, photographed by Tom Blagden. Four Stars for FOA! 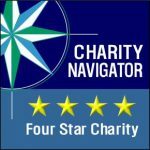 Friends of Acadia has received a 4-star rating from Charity Navigator, the leading independent evaluator of nonprofits in the U.S., for the fifth year in a row! This means our members can feel confident that their contributions are being used efficiently and responsibly to further our mission—to preserve, protect, and promote stewardship of Acadia National Park. 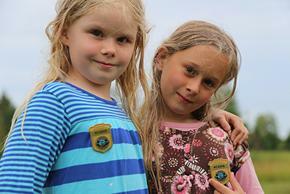 Looking for last minute holiday gifts that benefit Acadia National Park? Header Photo: Sea Smoke rises off Frenchman Bay on a cold December morning. Friends of Acadia/Julia Walker Thomas.